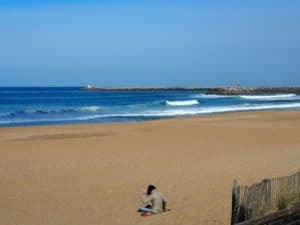 Anglet, also known as Little California, has 11 sandy beaches stretching over 4,5km between Adour river and Biarritz lighthouse. 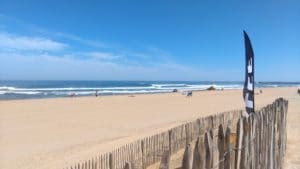 Although the city is part of Atlantic Pyrenees department, it has the very last sandy beaches typical in Landes department. From Biarritz lighthouse, rocky cliffed coast starts. 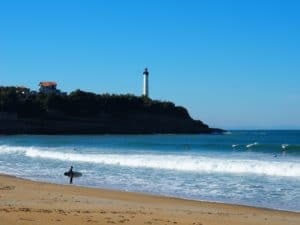 Compare to neighbouring city of Biarritz, chic and trendy – to know more about it, check here – Anglet is a sports paradise where life revolves around the sea: whether you just want to spend a lazy day at the beach to perfect your tan, go surfing, kite-surfing, bodyboarding, play volleyball or even rugby ! 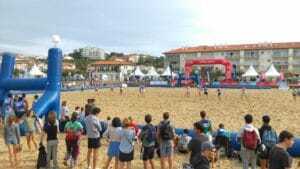 Indeed, don’t forget that you are in the Basque Country 😉 : each summer, the city organizes a beach rugby festival at Sables d’Or beach. Want to go to the beach but not sure which one to go for? We tell you all about our favourite ones ! International Surf Film Festival held in Anglet for the 14th time this year ! Anglet Pro Surf including night surf contest ! In September-October, surfers will enjoy the best waves of the year +++ (plus beautiful weather during Indian Summer in September !). Sables d’Or beach, located in La Chambre d’Amour area, is kind of typical urban beach. You’ll find many bars and restaurants such as La Chope, great for tasty belgium beers, rock music and ocean view, or Les Sardines, a nice place to enjoy cheap tapas and shuffle the dance floor every Friday and Saturday nights. On the beach you’ll find volleyball nets and several activities to practice during summer time such as Les plages musicales, a series of free outdoor live music every Wednesday night, or the beach rugby festival. Next to Sables d’Or beach, down to Biarritz lighthouse, is the Petite Chambre d’Amour beach. 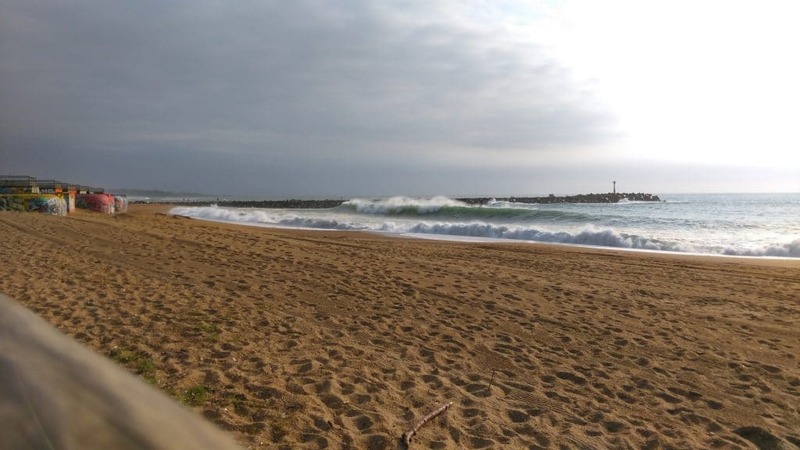 With Club beach, this is the only place in Anglet where you can surf at high tide. Watch out when you go swimming especially at the very end of the beach since there are quite often strong currents (good for surfing when you know what you’re doing, not that good when you don’t 😉 ) ! There can be a lot of water moving making it hard to paddle for the take off. La Madrague is definitely one of our favourite beaches… not only because this is where you have the best surf school in Anglet, Anglet Surf Spirit (check it here: tested and approved by us)! This is also where you can practice kite surfing in Anglet. Cavaliers beach: former most consistent wave in France ! Twenty years ago, Cavaliers beach was the most consistent wave in France: you could surf there more than 200days/year ! The wave along the jetty – built during the 70’s – was one of the locals’ favourite. Tom Curren was living not far from this beach when he retired from the Pro tour and settled in in France. Unfortunately, year after year the sand bar started to disappear. 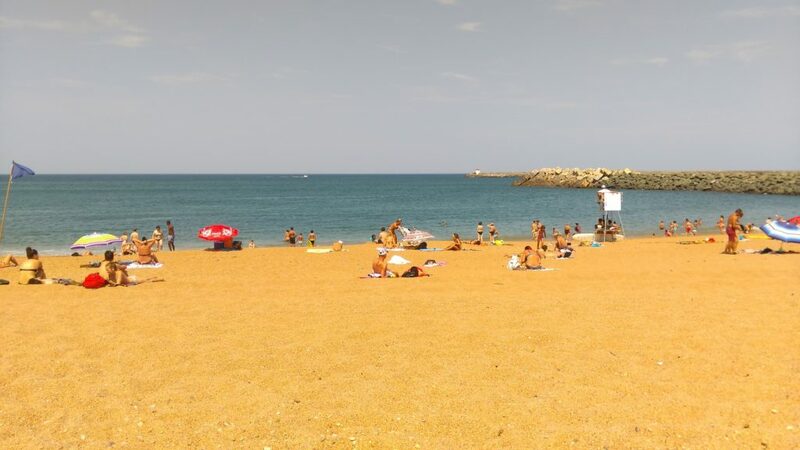 The Departmental Direction of the Equipment, instead of bringing back the sand removed from the Adour river mouth to Anglet beaches, started to reject it elsewhere. In 1994 for instance, 45 000m3 of sand was sold to the city of Saint Jean de Luz ! La Barre beach is where Australian guy Peter Troy won the first World Championship of Surfing organised in Europe in 1968. 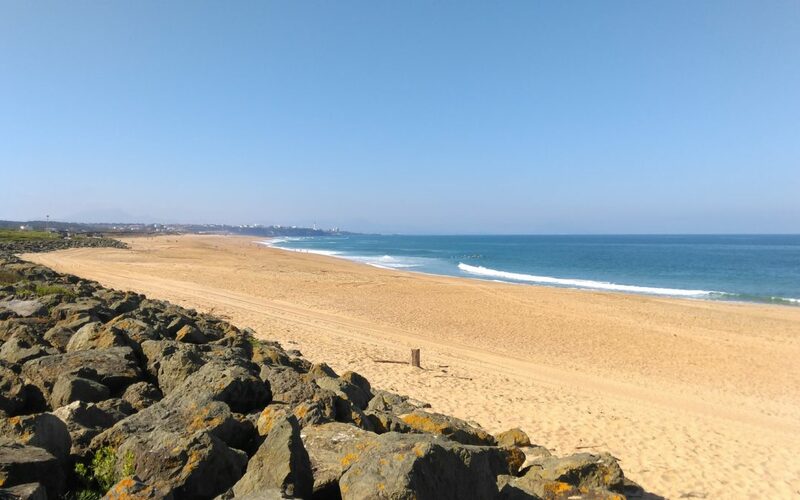 Last one of Anglet beaches, it is surrounded by two jetties: the first one protecting the entrance of the Adour river mouth, the second one offering a good protection from the south-west swells. This is the reason why it is popular for families. Although the construction of the jetty has damaged the wave and therefore the break is often seen as a fallback spot where you can go whenever it is too big or messy elsewhere, with the right swell condition, the wave can be really amazing (and protected from the north and south winds). Actually it is one of the favourite spots for bodyboarders when the swell is big. And when I say big, I mean it: you can get 8 to 10-feet perfect waves ! How to get to the beach ? Either you wanna walk, grab a bike or take the bus, you’ve got several ways to get down to one or the other beaches. going along the golf course. This second option brings you on top of Petite chambre d’Amour beach. From the cliff you can make a stopover in Kostaldea bar, perfect to have a drink at the sunset and enjoy the beautiful view of both the ocean and Biarritz lighthouse, or get down to the Lagunak, a small cabane always packed with locals. During July and August, free shuttle L’Oceane operates from 7:20am till 8pm, every 20minutes, serving La Madrague, Les Corsaires and Sables d’Or beaches. The closest stop from Nami House is Place des Cinq Cantons. If you want to tell us which one is your favourite beach, we’ll be glad hearing about it !